Using High Velocity Ammo with S&W Model 41? I got a Model 41 for Father's Day. Hurray! Installed a 1" Ultradot and really took it through its paces today, sighting it in and then shooting a 900 practice match. I am absolutely thrilled with the pistol!!! I shot my best score ever - 828 - including a 93 Slow Fire. And I did this shooting the pistol for the first time. It seems to like CCI SV best: groups are great and the pistol functions flawlessly. Eley Target groups equally well but I had FTFs in every mag, so will stick with CCI for the matches. Now to the question: Can I use high velocity ammo in the Model 41?? I have over 4,000 rounds of HV Federal Automatch, which runs great in my Ruger 22/45. My Model 41 eats it up without any hiccups, although groups are a bit wider than with CCI SV. So, I would love to be able to use up the Federal HV ammo in the training and practice sessions with Model 41. Would HV ammo do any damage to the pistol? Re: Using High Velocity Ammo with S&W Model 41? 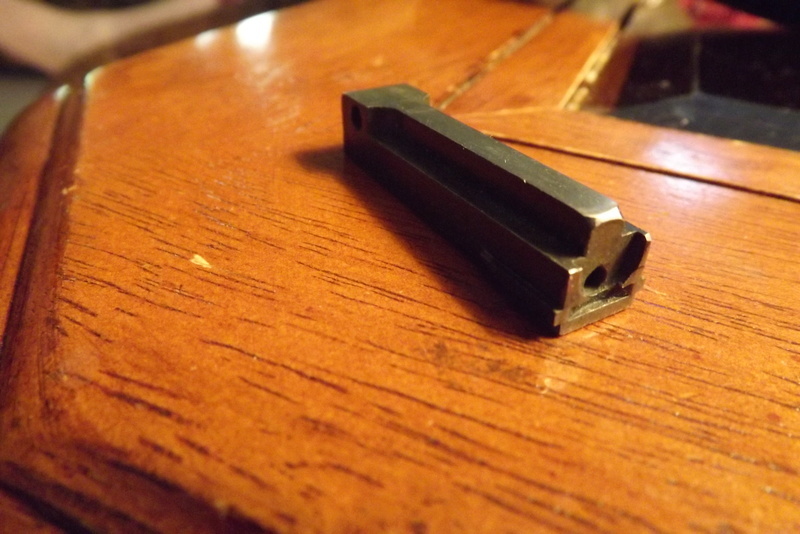 Wolff Gunsprings has an extra power recoil spring that should allow for the extra oomph of the HV ammo. But you might not need it. Thanks, Wobbley. Do I take it that if the pistol reliably shoots the HV ammo, I can use it without fear of somehow damaging the pistol? Why would you want to beat up your nice target pistol with HV ammo? I use CCI SV in mine exclusively, and I had nary a hick-up in 20 years of ownership. Go to rimfirecentral.com or smith-wessonforum.com for lots more on 41's and HV ammo. Well, therein lies my question: what exactly will I do to my pistol using the HV ammo? How precisely will I beat it up? What it will do is ruin the face of your bolt. In less then two years of shooting Winchester Super thru mine I started getting a lot of failure to fires. The bolt was no longer making positive contact and was getting very light hits. I replaced the bolt and have been good since. That was 40 yrs ago. I have not put any HV thru it since then. Some have accused me of being a little CDO but that's okay. I still have the bolt in my pistol box to remind me. I have ordered some CCI SV ammo and will keep the HV for the use in my Ruger. There is a SAAMI standard for 22 lr pressure its 24,000 max. PSI. Standard Velocity is what i used in the M41. High Standard is the only one i know that may get a crack in the frame with High Velocity ammo. Rugers dont care what they are fed. Great score with the new gun. 93 slow, super. My highest in comp was 2 - 91's back to back. LenV wrote: What it will do is ruin the face of your bolt. In less then two years of shooting Winchester Super thru mine I started getting a lot of failure to fires. The bolt was no longer making positive contact and was getting very light hits. I replaced the bolt and have been good since. That was 40 yrs ago. I have not put any HV thru it since then. Some have accused me of being a little CDO but that's okay. I still have the bolt in my pistol box to remind me. Haha Len, not the CDO or OCD? As you know Chris OCD is not in the correct order. I was wondering if anyone would notice. Well, back to the OP. I got my camera out and took a picture. To the naked eye there does not appear to be anything obviously wrong with the bolt. It was a real bearcat to figure out. The bolt was hammered back by the HV ammo till there was slack. The firing pin was driving the bullet forward and expending its energy to do that instead of crushing the rim. Replacing the bolt solved the problem. Interesting photo. Thank you. The photo when enlarged, looks like gas cutting of the firing pin hole? Strange. It is even stranger when looked at under a glass. There are two very shiny contact points on the bolt face. The face is no longer flat and the wings (for lack of correct word) that support the rim are flared out and stretched. I blame it on a diet of mini-mag and Super-X. It could have been caused by something else but changing ammo and the bolt has kept it good for the last 42 years.